Handcrafted by some of the most forward-thinking, globally conscious people in the industry -- Potters Cannabis Co. redefines quality. Potters Cannabis Co. has made it their mission to supply top quality products held to the highest ethical business standards. Not only purveyors and devotees for crafting the best products, but Potters Cannabis Co. is also active in their community. The team believes that in the face of producing the best, they have a duty to give back. Potters Cannabis Co. strives to increase the quality of life for all, one premium vape, topical, or philanthropic effort at a time. Casey Potter is deeply rooted in care and wellness. Before there was Potters Cannabis Co., Casey oversaw the nursing home, Synergy Homecare of San Diego. During his time there he witnessed the struggle for holistic pain management. He had friends in the cannabis industry, and it seemed medical marijuana created a tremendous opportunity for all-natural relief. At the time, cannabis vapes were just budding. However, the approach seemed just to be more of the same: dosages that were either too heavy or too light and concentrate that lacked full spectrum characteristics. Most importantly, the products lacked transparency. He longed for a better alternative and partnered with NFL player Jacob Bell to create one. Each lent their expertise, Jacob being the lens for athletes needs, especially in collision sports, and Casey bringing his knowledge in pain management and senior care. Together, Jacob Bell and Casey Potter developed Potters Cannabis Co. a brand that provides premium cannabis-derived products with heart. Potters Cannabis Co. launched in January 2017 and has served the cannabis community and beyond since. Quality begins on the farm, and Potters Cannabis Co. knows this full well. They start with the finest cannabis flowers with stable genetics, cultivated by master growers with years of experience. Those buds grow up to reach their ideal genetic potential then harvested for extraction. Processing carries out the same level of quality control and care as the farm. With ethanol extraction (a safer and cleaner extraction than butane and propane) Potters Cannabis Co. separates the full spectrum of cannabinoids and terpenes from the plant. The extraction artists never use harmful cutting agents, and there is no MCT or coconut oil in their vapes. Post extraction, the cannabis oil is encased in a cartridge with a ceramic tank, then like a message in a bottle placed in a vial topped with a cork. Potters Cannabis Co. is pleased to offer lab tested cannabis products provided by San Diego PharmLabs. Is it worth it? 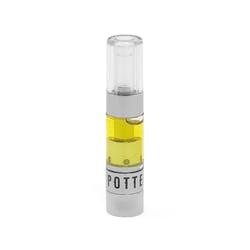 There are dozens of cannabis oil brands in surrounding dispensaries, so at $35 BEFORE taxes, why should we choose @potterscanna? - - As hard-hitting as this cartridge is, this brand's community outreach is where its true potency lies. In an era where consumers still combat stigma, Potterscanna realizes the importance of giving back. 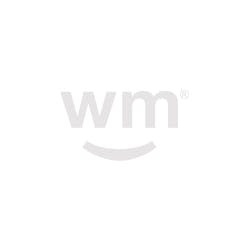 Home building projects in Mexico and Feeding San Diego events in SD county make this brand the ONLY one I've reviewed thus far with such glowing focus on engagement. I cannot commend their efforts enough. - - However, all things considered, the connoisseur in me will find it difficult to revisit this Pink Champagne cartridge for anything more than occasional use. Brands like Jetty and Select, at the $35 price point, offer similar products WITHOUT the use of refined medium-chain triglycerides or plant-derived terps to deliver quality experiences. - - In short, if you value VALUES from your cannabis brand, look no further, as @potterscanna is setting a precedent other brands can learn from. But for those of us seeking a transcendent cannabis experiences concealed within a pen, this may leave you wanting a bit more.